T-Series is about to unseat PewDiePie as the king of YouTube video. It is riding the incredible surge in mobile viewing in India. PewDiePie – aka Felix Kjellberg – has run the largest channel on YouTube for several years. However, that could soon change as a new channel called T-Series is on a growth trajectory that will carry it passed PewDiePie within the next month. YouTube star PewDiePie reigns supreme on the platform and currently has 69,679,563 channel subscribers. What’s more, according to Tubular Labs data, the channel is still growing, adding 863,000 subscribers in the last month. PewDiePie is barely ahead of its nearest competitor T-Series, which has 69,022,421 subscribers. However, T-Series is growing much faster than PewDiePie, adding 4.2 million subscribers in the last month. If these growth rates keep up, T-Series will have 76 million subscribers and PewDiePie 72 million by the end of the year. So, what is T- Series and why is it growing so fast? T- Series is an Indian music record label and film production company. It is leveraging its huge trove of Bollywood music videos to populate its channel on YouTube. The channel is already the largest as measured by views and will soon be the largest by subscribers. T-Series also owns many other popular YouTube channels, such as T-Series Tamil, T-Series Telugu, and Bollywood Classics. The success of T-Series on YouTube illustrates the growing popularity of online video in India. Here at nScreenMedia, we have been tracking the rise of smartphones in developing countries, including India. The explosive growth of the market continues. The Asian subcontinent already has over 337 . For many, mobile is the primary method by which they access the internet. Young Indians spend more than 28 hours a week on their smartphone, with much of that time spent watching video. Little wonder that online video viewing is seeing massive growth. In 2017, the Indian online video industry generated $340 million. Media Partners Asia forecasts that by 2022 the Indian online video industry is expected to generate nearly 5-times as much, or $1.6 billion. Indian’s have an appetite for binge-watching online videos as well. According to Reed Hastings, CEO of Netflix, “Indians are the biggest binge watchers on the platform in the world.” According to PwC, the country is set to make it into the top-10 OTT video markets in the world in four years. With so much opportunity why are some companies succeeding more than others? With so many eyeballs turning to mobile video, there is a huge demand for new original and regional content. Currently, most creators in India aren’t meeting that demand. T-Series, on the other hand, is one of the few creators that can deliver. The music label is constantly releasing new content, releasing videos in a variety of regional languages every day. Other Indian creators are also stepping up to challenge, including Zee TV, and YRF. Moreover, as they step up their production, they can quickly gain enormous popularity on YouTube through mobile devices. 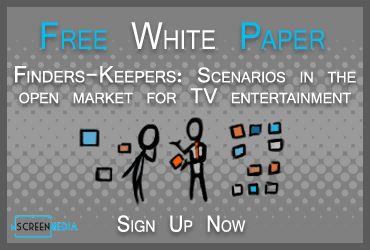 The most successful channels understand the demographics and regions of their markets. They are also able to ramp up production to satisfy those markets. T-Series is the perfect example. It is a large content company at the top of its game and understands how to leverage that content to reach large audiences through YouTube. T-Series’ channels capture the culture of the massively popular modern Bollywood industry while making it easy to view by smartphone users. 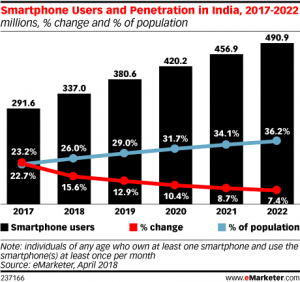 Currently, a quarter of the Indian population owns a smartphone, but by 2022 more than a third will have one. Any content company wishing to capitalize on the boom in Indian mobile viewing need look no further than T-Series to see how it’s done.